Two powerful science investigations will help unravel the mystery of whether Jupiter's icy moon Europa might have the right conditions for life, when a new NASA mission heads there sometime in the 2020s. 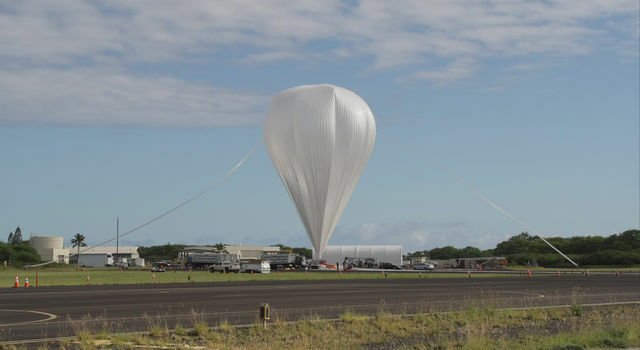 Led by researchers at NASA's Jet Propulsion Laboratory in Pasadena, California, the instruments include an infrared imaging spectrometer and a magnetometer. NASA announced selection of ICEMAG, MISE and seven other investigations for the Europa mission's science payload on May 26, 2015. The space agency received 33 proposals for science instruments to fly onboard its planned Europa mission, which would orbit Jupiter and conduct repeated close flybys of the small moon during a three-year period. ICEMAG, for Interior Characterization of Europa using Magnetometry, will observe the magnetic field near Europa with greatly enhanced sensitivity compared to a similar instrument carried by NASA's Galileo spacecraft, which orbited Jupiter from 1995 to 2003. Galileo found that Jupiter's magnetic-field lines were bent in the space around Europa. This strongly implies that a special type of magnetic field is being created -- or induced -- within the icy moon by a deep layer of some electrically conductive fluid beneath the surface. Since Europa's composition includes water ice, scientists determined the most likely explanation for the induced magnetic field is a global ocean of salty water. The magnetic field data from ICEMAG will take Galileo's measurements to the next level. "The nature of the subsurface ocean and how it interacts with the surface is critical to evaluating Europa's potential habitability," said ICEMAG Principal Investigator Carol Raymond of JPL. "Knowledge of the ocean properties helps us understand Europa's evolution and allows evaluation of processes that have cycled material between the depths and the surface." The ICEMAG instrument combines two types of sensors from JPL and the University of California, Los Angeles (UCLA) to make precise and varied measurements of the induced magnetic field at Europa, probing the ocean's depth, thickness and salinity. The other instrument, called MISE, for Mapping Imaging Spectrometer for Europa, will examine Europa's surface to determine its composition. From these measurements, scientists expect to be able to relate the moon's surface composition to the habitability of its ocean. Since NASA's Voyager mission flew past Europa in 1979, scientists have worked to understand the composition of the reddish-brown material that coats fractures and other geologically youthful features on Europa's surface. MISE will probe the composition of this material and the rest of Europa's surface. It will identify and map the distributions of organics, salts, acid hydrates, water ice phases and other materials to determine the habitability of Europa's ocean. 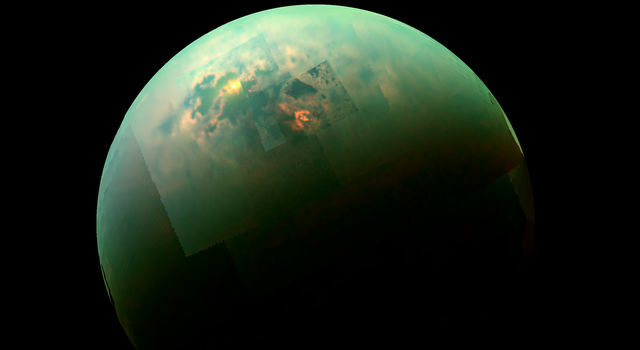 "Habitability is hard to assess -- you have to not only know what is there but how the system works," said the instrument's principal investigator, Diana Blaney of JPL. "By mapping the composition of specific surface features with MISE, we can understand not only what Europa is made of, but also the processes that link the ocean to the surface." 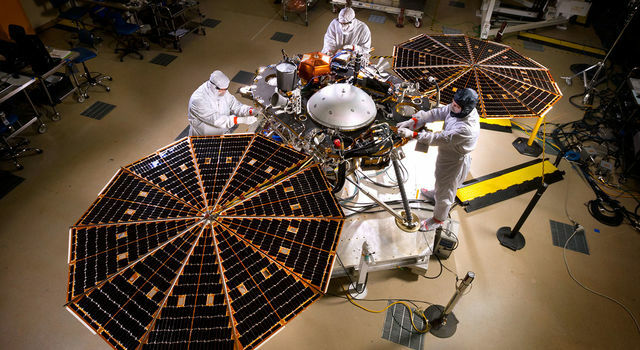 MISE is built in collaboration with the Johns Hopkins University Applied Physics Laboratory (APL) in Laurel, Maryland, overseen by Deputy Principal Investigator Karl Hibbitts. APL will develop the MISE scanning mirror and the instrument electronics. JPL will also build a third instrument for the Europa mission, called Radar for Europa Assessment and Sounding: Ocean to Near-surface, or REASON. This investigation is led by Principal Investigator Donald Blankenship of the Institute for Geophysics at the University of Texas, Austin. 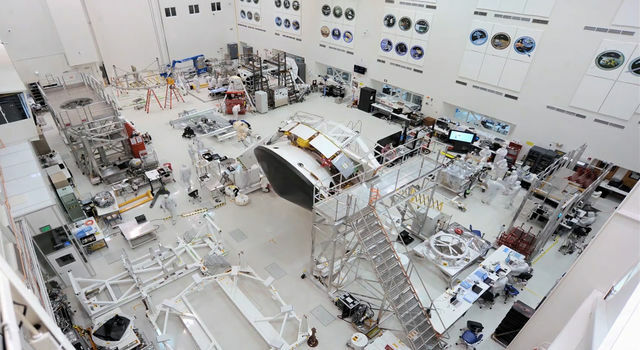 JPL built and managed NASA's Galileo mission, and continues to manage NASA's Voyager mission, for the agency's Science Mission Directorate in Washington. JPL is currently formulating a concept for a future NASA mission to Europa. The California Institute of Technology in Pasadena manages JPL for NASA.